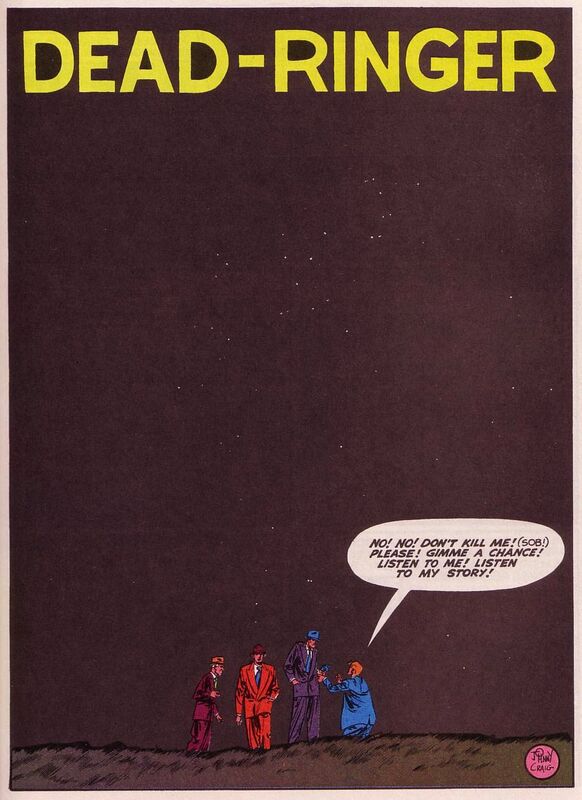 In comics, splash pages are simply full-page panels meant to grab your attention. However, we're here to talk about opening splashes. Set the mood and setting. 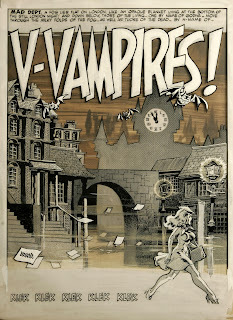 Wally Wood's splash page to 'V-Vampires! 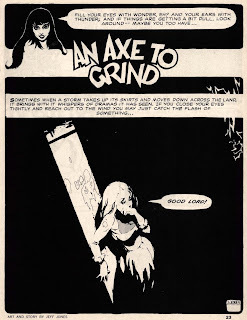 ', (a parody of EC Comics from "Mad" issue #3) is AMAZING! It's a shame they didn't leave the original alone. It tells you everything you need to know about the setting, the mood, and grabs your attention... A beautiful, young lady named Godiva walks the fog-shrouded streets of London... alone... at 5 to midnight. The 'Klek klek klek klek klek' of her high heels along the cobble stones gives the panel a sense of motion, urgency... perhaps even a little fear. 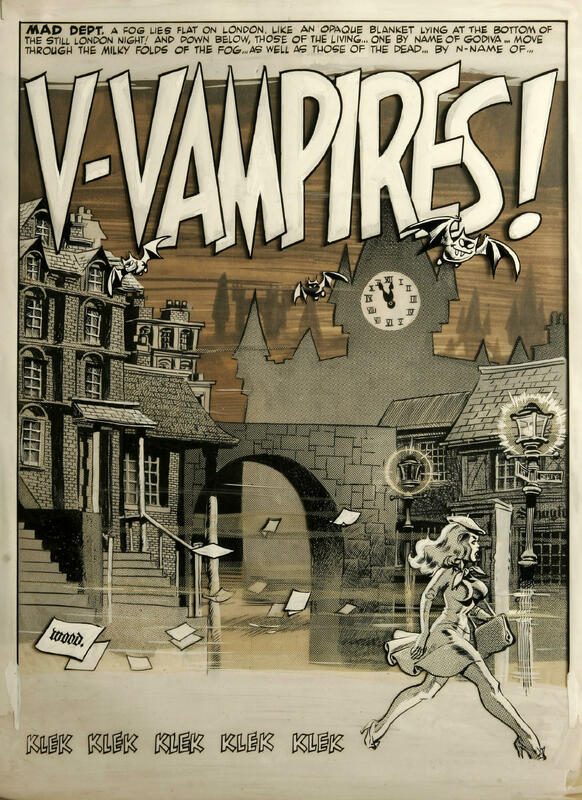 Yet the 3 silly looking vampire bats flying above and title tell you this is a parody. Jeff Jones' "An Axe To Grind" from Vampirella #5 is perfection for an opening splash. The sense of isolation and fear is palpable. We know this girl's alone, in the dark, and in serious trouble. The negative space surrounding the title character is your setting highlighting the mood. In fact, the darkness almost seems to creep up from underneath, as to engulf the girl. 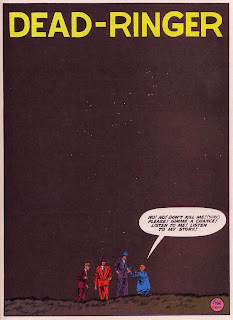 And if there was ever a splash that was made for page-turning, go no farther than Johnny Craig's opening to "Dead -Ringer" from Crime Suspenstories #2.